A Collaboration with Swatch. I was invited to create to a Swatch Art Special design to help celebrate the 175th Anniversary of The Economist magazine. With my ideas around the history, culture and politics represented in a banknote “ColourShift” was inspired by the apparent shift from physical to digital transactions and currencies, and comprises a changing spectrum of currencies, colour and elements of bitcoin code in numbers and letters. The watch was for international release with a special number of the edition for The Economist magazine celebrations. Right from the start, Swatch has been connected with contemporary art. 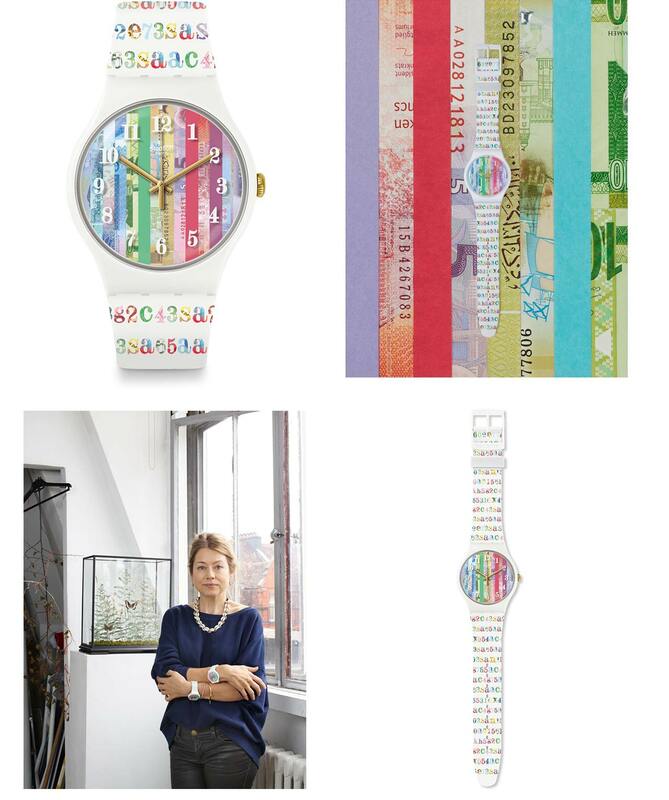 Swatch watches were inspired by popular culture, and the Swatch Art Specials have become a canvas for a whole host of world famous artists, musicians and fashion designers including the likes of Keith Haring, Yoko Ono, and Ian Davenport and they are produced as strictly limited editions.